A Montreal commuter may have spotted an Eidos employee working on a presentation relating to the next instalment in the recently rebooted Tomb Raider franchise, reportedly titled Shadow of the Tomb Raider, as seen in the top corner of the laptop screen in the photo posted on Reddit. 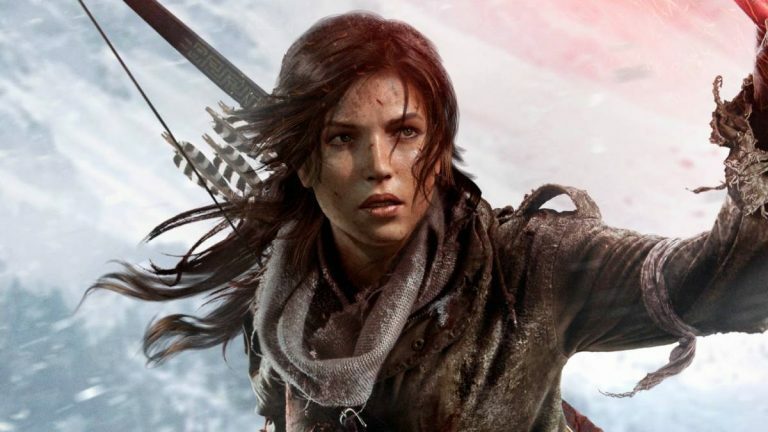 This has led to speculation that Eidos Montreal are going to working on the follow up to last years Rise of the Tomb Raider, as opposed to the San Francisco based Crystal Dynamics, who were responsible for the first two entries in the series. Eidos Montreal’s most recent project was August’s superb Deus Ex: Mankind Divided, though while being a stellar game in its own right, is a far cry (no pun intended) from the kind of thing that Lara would get up to. I just can’t see her in a near-future dystopian Prague. I’m left wondering now how long it’s going to take for likeminded Redditors (or other such internet dwellers) to take to the streets with fake announcements- an overheard phone conversation about Half Life 3 perhaps, or maybe a partially redacted document about the release schedule for Beyond Good and Evil 2. Maybe this case is exactly that- maybe not. Who knows. Not us, as Eidos have yet to officially comment. Though, with this in mind, I am willing to offer a reward to whoever manages to sneak in to From Software’s offices to let the world know whatever it is that they will be releasing to leave the void we all feel now that the Souls series has come to a close. I’m serious. Cash waiting. The Phoenix Wright: Ace Attorney Trilogy polishes our favourite spiky-haired lawyer and makes the trilogy a lot nicer to look at, but thankfully doesn't try to fix what isn't broken.